In Third Age of Middle-earth, Thorin Oakenshield and his Company of Dwarves came upon a troll lair in Rhûdaur. There they found an Ancient Elven sword and matching scabbard. 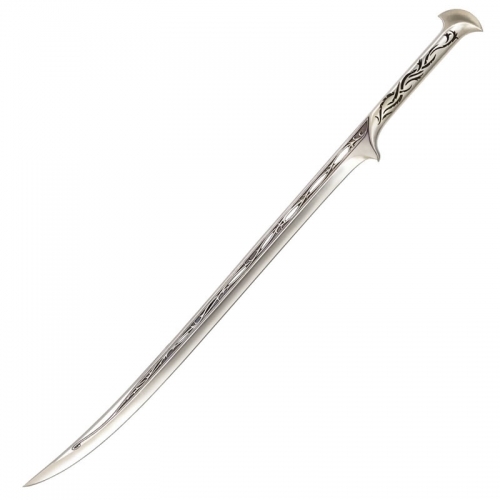 The exact history of this sword is not certain, but when Elrond examined it in Rivendell, he determined it was an ancient blade used in the Goblin Wars to slay many Orcs in the First Age. Upon hearing the history of this legendary blade, Thorin claimed it for his own and vowed to cleave Goblins with it once again. 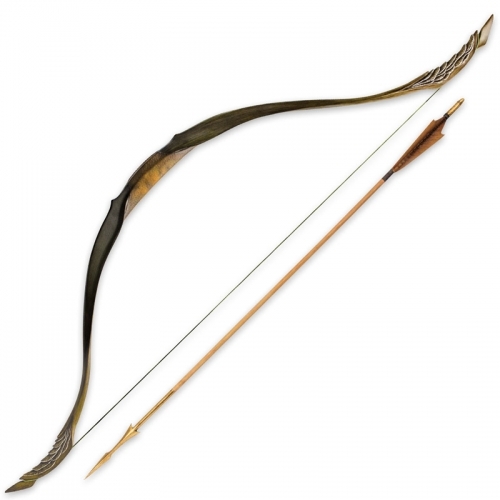 This authentically detailed scabbard collectible is a reproduction of the actual filming prop. 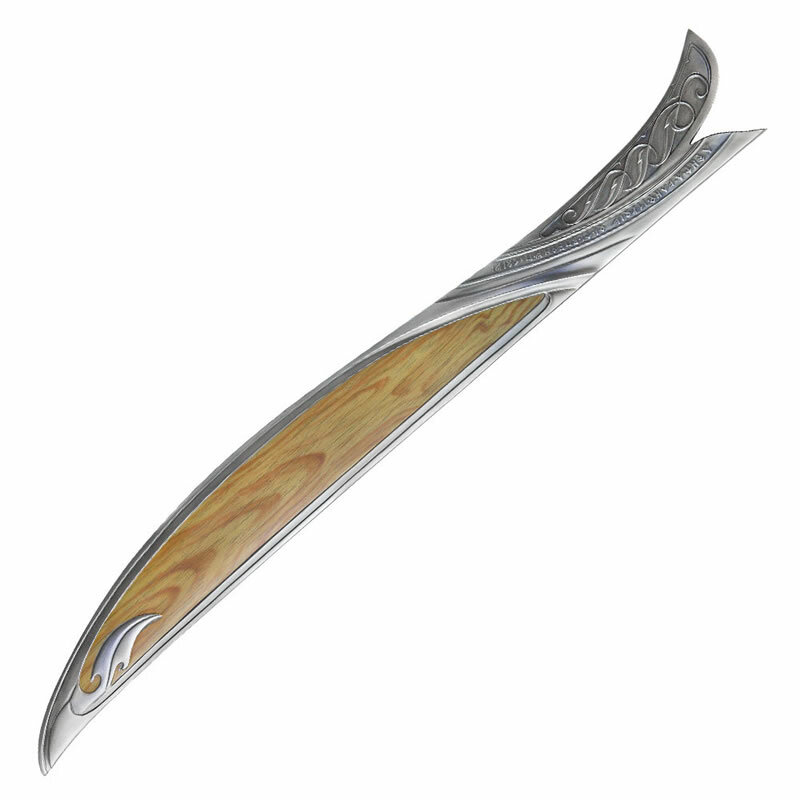 The Orcrist Scabbard is 30”(76.2cm) overall, crafted in polyresin with a metal and wood grain patterned finish, Elven vine and leaf motifs, a built-in belt loop, and felt-lined interior. Close attention to detail was a top priority, right down to the engraved runic inscriptions. Includes a certificate of authenticity. 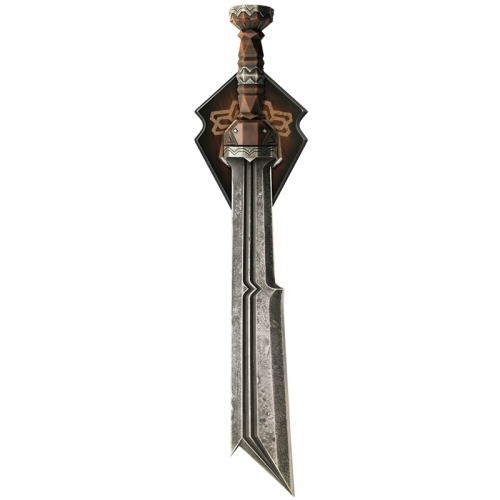 The Orcrist sword (UC2928) is sold separately.